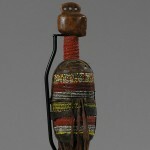 There are numerous designs of fertility dolls in Cameroon. This fetish has a beautifully shaped head and glass beads as eyes. 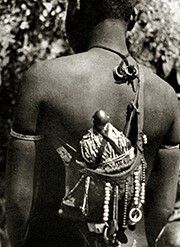 The body is dressed in a harness of leather, closely wrapped with bead chains and decorated with cowry on the loose leather strips. 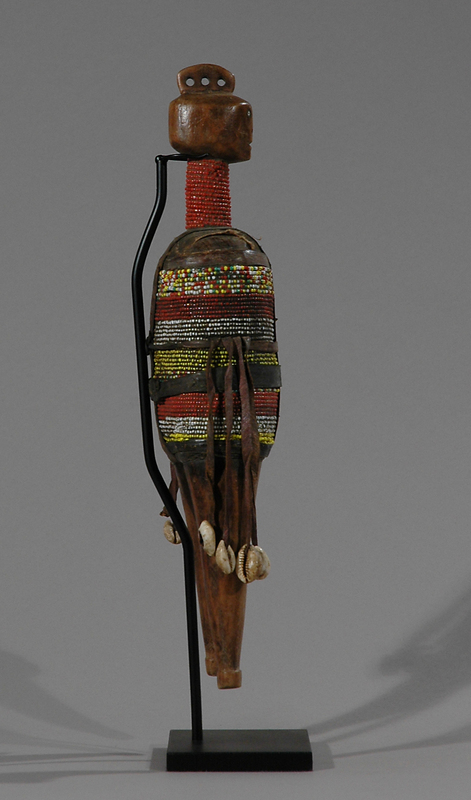 This artistically unique fertility doll was held by young Namji women to play and to ensure their fertility. 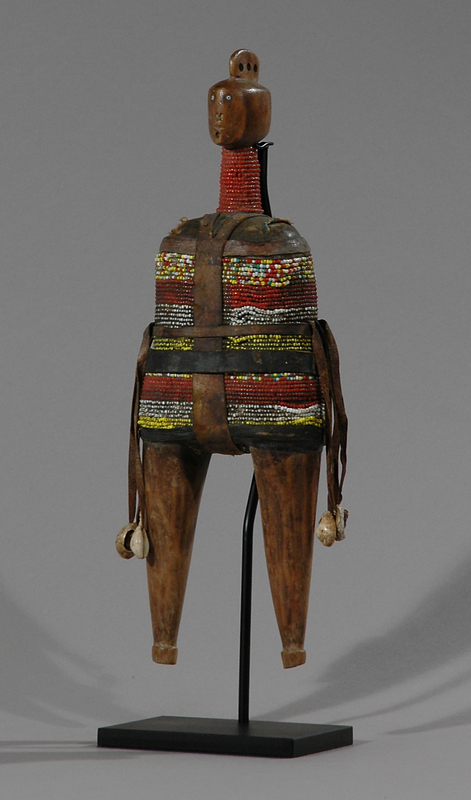 Dolls such as this are considered among the finest and the most beautiful dolls in Africa. They are carved from solid hardwood. The doll would have a name, be fed, be talked to and be carried strapped to the back everywhere the child would go. The most popular place to carry ones’ doll is strapped to the back the way real infants are toted around. This was the young girls’ first baby. This was her responsibility. 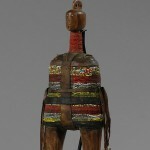 This doll helped prepare the young Namji woman for her role as mother in her future life. Though most of them represent females, they sometimes appear as couples. Age: Est. 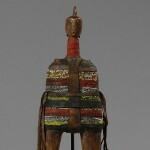 beg.-mid 20th Century. 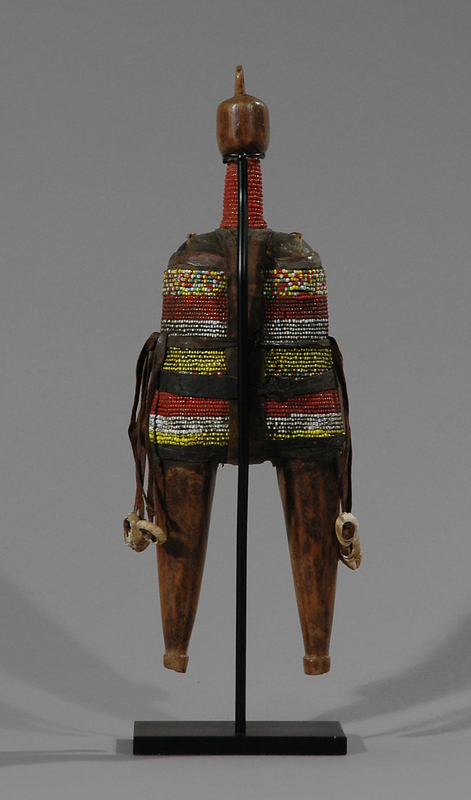 Provenance: From the Dessau’s collection of tribal art founded in the 1950s. 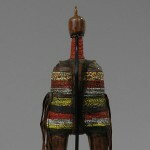 Literature: Galerie Amrad, African Arts. Esther A. Dagan (Hrsg. 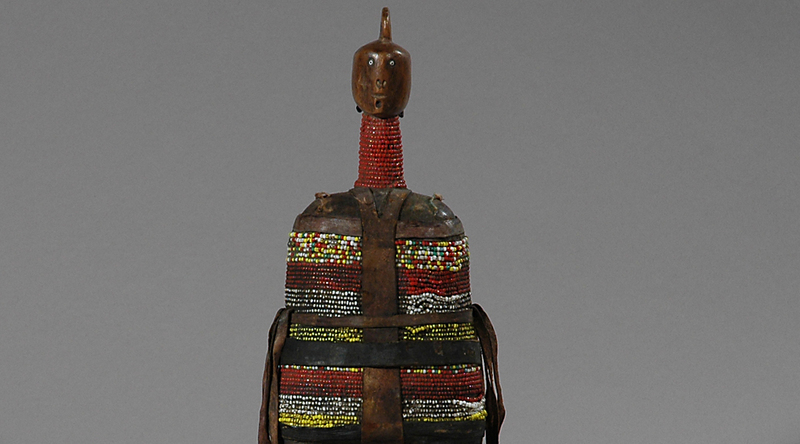 ), African Dolls for Play and Magic, 1990, S. 91, Abb. 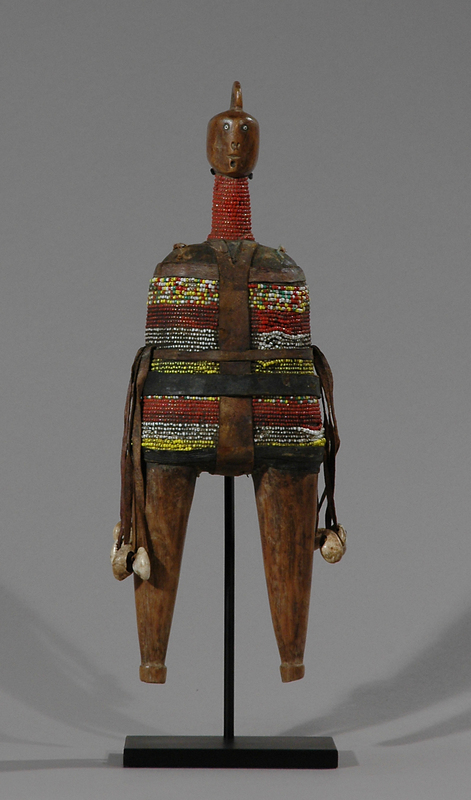 25.- “Isn’t s/he a doll”: Play and ritual in African sculpture, published by the Fowler Museum, UCLA, U.S.A.